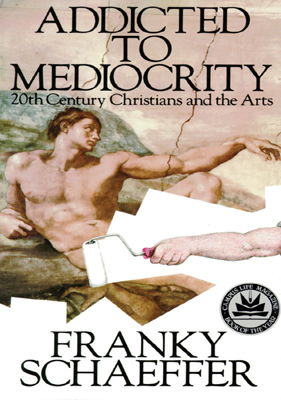 In this provocative book, Franky Schaeffer shows how Christians today have sacrificed the cultural prominence they enjoyed for so many centuries and settled for mediocrity. This sad state of affairs is evidenced by the kind of cheap kitsch that represents Christianity today: trinkets, tee shirts, and bumper stickers that put the name of the Creator of the universe on the same level as a soda pop brand name. Schaeffer goes on to criticize the representation of Christianity in the media, arguing that, "whenever Christians, particularly evangelicals, have attempted to "&apos;reach the world'" through these mediums, "the thinking public gets the firm idea that, like soup in a bad restaurant, Christian's brains are best left unstirred." Finally, Schaeffer shows how Christians can begin to reverse the slide toward mediocrity by demanding excellence in the arts, the media, and in all areas of life.